Hello all, I’m sorry for my absence. I’m on the backside of being sick, but I’m still pretty tired and I’ve spent very little time in my stamp room. Today I have a really fun card to share with you. This is a project we made in one of my Stamp Clubs this past November. The front of the card has a pocket that holds a bookmark. The sunflower is attached to the head of a jumbo paperclip which makes for a really fun addition to your favorite book. Now that spring is right around the corner I can’t wait to recreate this project in some fun bright colors. Maybe Melon Mambo for the flower to make it look like a Gerber Daisy. I’ll share what I come up with. 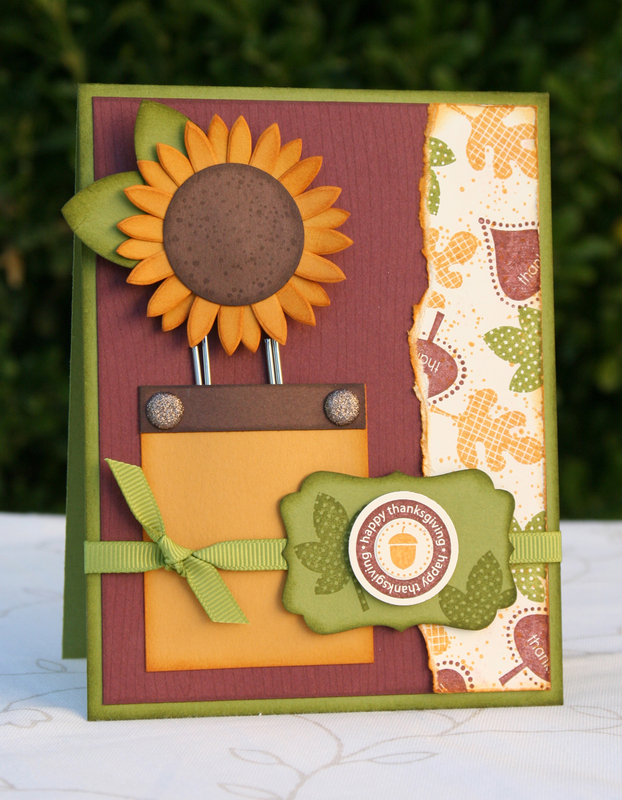 All supplies can be purchased on my Stampin’ Up website. ← This has gone on long enough! This card is so cute! I just love it! I just wanted to tell you what amazing cards you make!!! I have enjoyed looking at all of your previous posts and am so glad that you share your talent. I have a card blog as well but it is still a work in progress. Thanks for all the inspiration! !